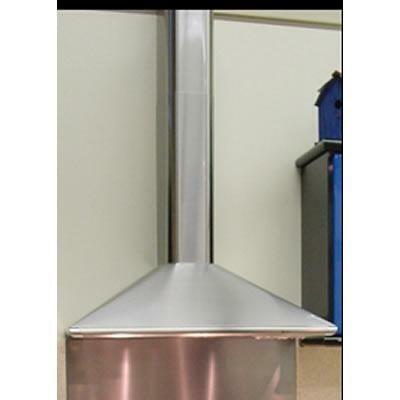 Most stainless steel wall mount and island mounted canopy hoods have a high ceiling chimney kit available. The upper chimney cover that comes with the vent hood is replaced with a taller chimney cover kit to accommodate a higher ceiling. Most hoods can reach 11’ high ceilings when using this kit.